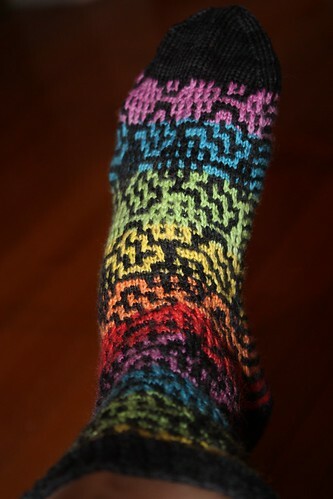 Rainbow Sock, a photo by kirilaw on Flickr. Here's the promised picture of the rainbow sock. There are a few more over on Flickr.